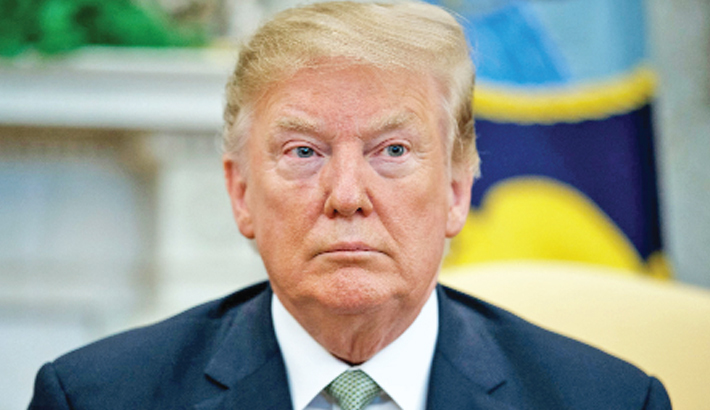 WASHINGTON: Donald Trump signed the first veto of his presidency Friday, overriding congressional opposition to secure emergency funds to build more walls on the US-Mexico border, reports AFP. Nancy Pelosi, the Democratic speaker of the House of Representatives and a leader in the fight to prevent Trump’s wall plans, called Trump’s action a “lawless power grab.” “The president has chosen to continue to defy the Constitution, the Congress and the will of the American people,” she said in a statement. Most Republicans support Trump’s position that the border is out of control. However, there were defections in Thursday’s Senate vote by Republican senators angered at what they see as the president’s improper seizing of power over the government purse strings—a role reserved for the legislature.